The difference between Universal Monitoring and Unified Monitoring is worth understanding; these words sound so similar that they might be used interchangeably, but they are not the same. 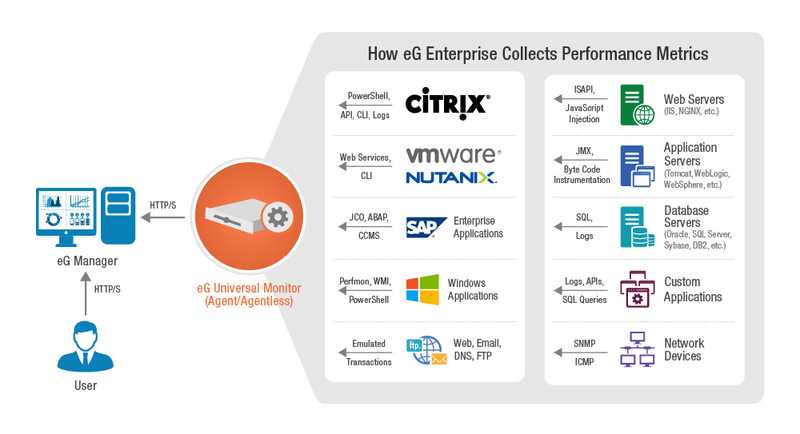 eG Innovations introduced Universal Monitoring with a universal agent over 15 years ago. The operative word here is, of course, universal. Not only does the agent provide a single license regardless of what data is being collected, but it is truly universal in that it doesn’t really care what data it’s collecting. It will collect ANY data it’s asked to collect. For example, the eG Manager provides out-of-the-box instructions for the eG Agent to gather metrics from 10+ operating systems, 180+ applications and 10+ virtualization platforms, and this list is usually what people focus on. But the eG Universal Agent can actually be instructed to collect data from any device or application in any number of ways, including application-specific protocols, utilities and/or APIs. In addition, the metrics are not limited to IT or technology; the eG Universal Agent can collect business metrics such as the total value of transactions executed. So, eG’s Universal Agent technology is just that – a universal method of collecting data – agent-based or agentless, active or passive, and using whatever data collection mechanism is appropriate. It doesn’t care! Any new measurements or tests are automatically made available to all other agents, and new agents can be deployed on the gold images or remotely and rapidly pushed to target systems using any software deployment tool. They are lightweight (0.1-0.3% CPU, 0.5-1 Kbps of bandwidth) and employ a secure, web-friendly communication that allows for monitoring across firewalls and private networks. So, when we say Universal Monitoring we’re typically referencing a simple, universal approach to data collection. On the other hand, when you hear the term Unified Monitoring, this is slightly different. The ability to collect data from every layer of every device and across distributed public, private or hybrid clouds is about data collection. However, bringing all this data together and making sense out of it is where universal ends and unification begins. Let me explain. 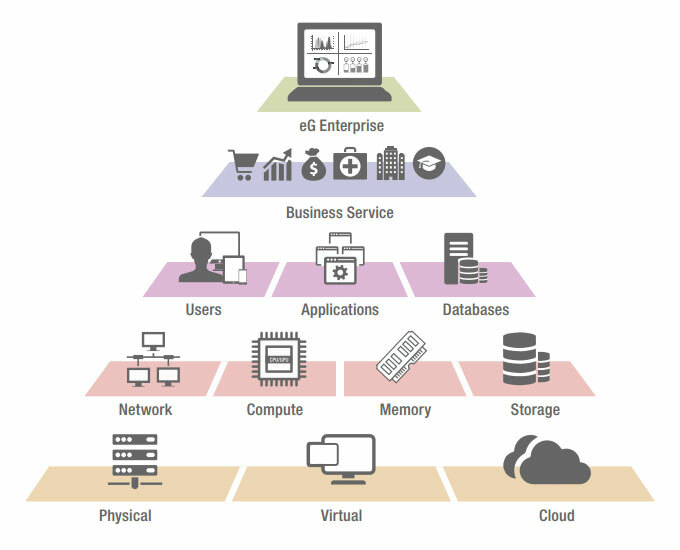 The cross-domain and cross-tier visibility provided by eG Enterprise, along with its patented auto-diagnosis capabilities, eliminates disagreements and blame between IT infrastructure departments. This is Unified Monitoring. When all performance information is at hand at all times, and to all appropriate stakeholders, to most people that is “unified monitoring.” But a critical element of unified monitoring is auto-diagnosis because without it, there is not only more time and effort required to sort out the truth, but there is also more potential for debate and disagreement as information is interpreted by different people. 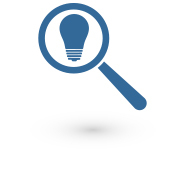 Unified monitoring is most effective when there’s a single source of actionable truth. It’s what moves us away from diagnosis-related activities, and toward collaborating on how to establish self-healing properties when that diagnosis is identified. This is not only more cost-effective, I suggest it’s a more “unifying” activity than troubleshooting. So when you’re looking at a unified monitoring solution, ask yourself to what degree it can automatically diagnose performance issues and exactly who does this work, you or the tool? The convergence of application and infrastructure monitoring is a natural evolution for eG Innovations, and continues our leadership in universal/unified monitoring. From our initial introduction of universal monitoring 15 years ago, to the industry’s first virtualization-aware auto-diagnosis capability, and now to code-level correlation, eG Enterprise’s converged application and infrastructure monitoring is taking these concepts to new heights. The post Universal vs Unified Monitoring: What’s the Difference? appeared first on eG Innovations.